Arbitration awards under English law are final and binding subject to the limited grounds of challenge permitted under the Arbitration Act 1996. S.57 of the Act allows an arbitration award to be corrected by the Tribunal on its own initiative or on the application of a party “so as to remove any clerical mistake or error arising from an accidental slip or omission or clarify or remove any ambiguity in the award (s.57 (3) (a))” or make “an additional award in respect of any claim (including a claim for interest or costs) which was presented to the tribunal but was not deal with in the award” (s.57 (3) (b) to be made in limited circumstances subject to the proviso that matters of substance and jurisdiction remain final and binding. A party making such an application must do so “within 28 days of the date of the award or such longer period as the parties may agree”. The Commercial Court was recently required to consider these clauses in the context of an application made under s.79 of the Act (which permits the Court to extend time limits relating to arbitral proceedings) nearly 6 years after an award was handed down by the LCIA. The underlying dispute concerned the sale and purchase of a significant quantity of coking coal. Following a fully contested arbitration subject to the rules of the LCIA an award dated 23 August 2010 was obtained requiring the Buyers to pay just under USD 30 million to the Sellers. Following non-payment the creditors sought to enforce the award (on 16 August 2011) against the debtor who was based in China. The debtor successfully resisted enforcement of the award in China based on an argument that one of the award creditors had not been a party to the underlying contract (and consequently not a party to the arbitration agreement). The award did not provide reasons as to how the Tribunal had dealt with the question of party identity. The Chinese court did not issue their decision until 25 April 2014. On 30 May 2014, following the Chinese Court’s decision, the award creditors accordingly applied under Article 27 of the LCIA rules to the LCIA Tribunal for a correction of the Award to clarify the ambiguity concerning party identity in the Award. The LCIA “while sympathetic to the Claimant’s position” declined to hear the application without agreement between the parties or an order from the Court given that the application was (considerably) out of time. 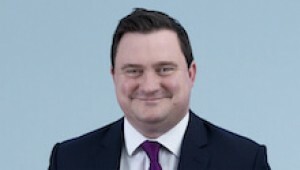 Mr Justice Knowles on hearing the s.79 application found in favour of the award creditors and permitted an extension of the Article 27 time limit in order to allow them to make the application under the LCIA rules. The Judge found that it was just and reasonable for the Tribunal to provide clarification as to party identity in order to assist the parties to the arbitration, Chinese Court and to avoid impeding the arbitral process. In particular the ambiguity as to identity may well have prevented enforcement in other jurisdictions if the creditors sought to enforce elsewhere and a substantial injustice would otherwise be done if time was not extended. In the context of the present case the Judge held that this approach was “designed to serve the objectives of holding parties to their agreement if they have agreed to arbitrate”. Although the Judge was provided with competing advice from local lawyers as to the question of whether or not the Chinese Court would reconsider the issue the Judge declined to make a ruling on this making clear that even if the Tribunal clarified the award the question of recognition and enforcement in China remained a matter for the Chinese Court. The case is a good example of the extent to which the English Court proactively supports and promotes arbitration clauses between commercial parties.